For many years the main talk of what is happening at the Games or Regionals, and also other smaller events are the Athletes. Who of course are exceptionally important however, it does not happen often when the focus is on those who make the competition happen, and I mean staff, volunteers and organisers. I myself have been a volunteer at the Crossfit Regionals for 2 years in a row. 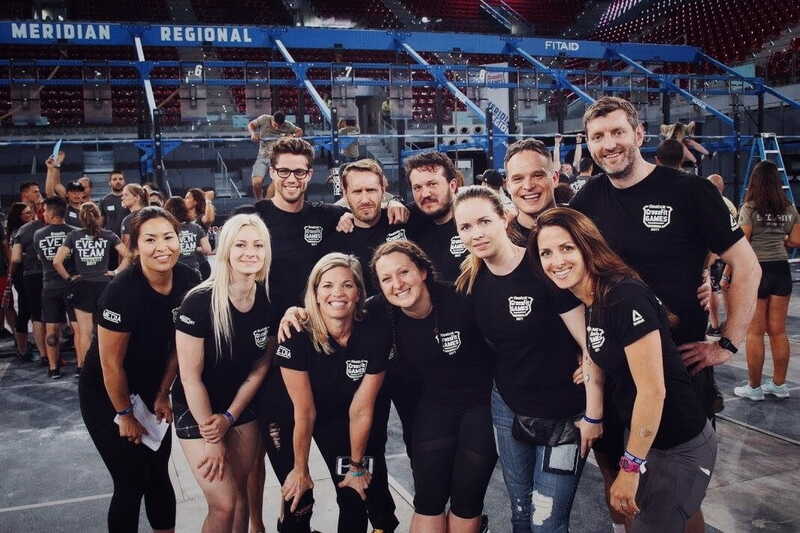 So what is it actually like to be a volunteer at Crossfit organised events? I can tell you this, being a volunteer at the Regionals is the most amazing experience EVER. Like I have mentioned, I have been volunteering at the Meridian Regional for 2 years running and every single time I absolutely loved it. When I first registered on the volunteer Shiftboard account, I haven’t actually been prepared for the amount of joy I was about to go through. Receiving an acceptance email was one of the greatest moments for me, I cannot even comprehend in words the amount of happiness I had felt at the time. The volunteer coordinators were extremely helpful in the whole process leading up to the Regionals and once I had arrived in Madrid, I already had media members waiting to meet me and introduce me to the rest of the team. The first year as a volunteer was quite ordinary and I was a little shy and just getting to know everybody. However, when it comes to the second year volunteering at the same regional, which once again was in Madrid, I flew there confident and ready to see everyone. moved through the venue and into our registration rooms; in my case that was the media/broadcasting room. As soon as I stepped through the door, hugs and cheek kisses began from all staff and volunteers. 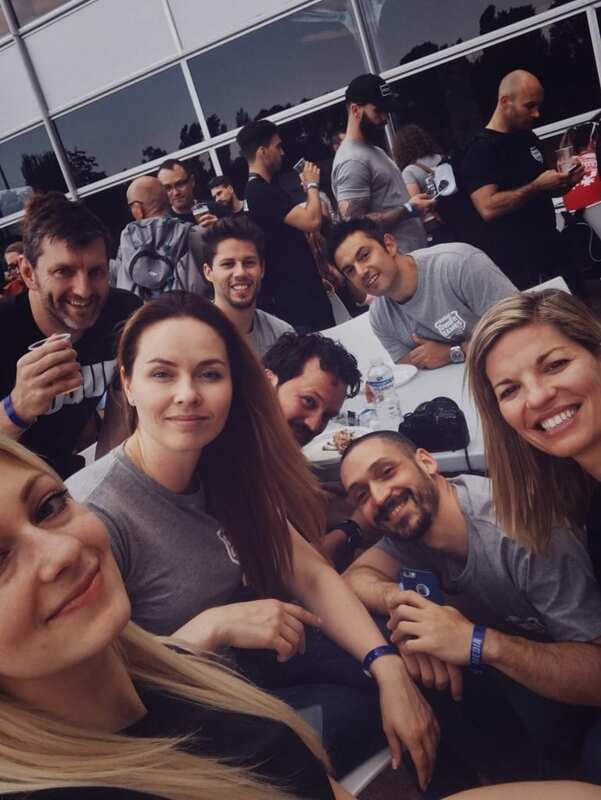 I must say that I adored seeing everyone once again, it was like a big family reunion with likeminded people from around the world. Having the opportunity to spend a couple of days with people who possess the same passion and aspire to achieve greatness in their fields of interest isn’t short of amazement and pride. 6am start for volunteers! Early morning meant a longer more eventful day. Getting up, getting dressed and showing up, the three priorities of a volunteer during the whole weekend. On the first day of the regionals, all volunteers always receive their volunteer t-shirts which they are able to keep, forever! Either way, some of the volunteering teams did not receive their shirts for the first day due to the package being stuck at customs. Not to worry, we received a 25% discount card for the onsite Rebook store, this was the perfect opportunity to do some shopping and get some new stuff ready for the Summer training and competition season. Wearing new outfits, we began the day with a meeting of the whole crew and did a run through all events for the day. My job, same as last year, was to spot all the action that is happening on the competition floor and report it back to the director of the live broadcast to enable him to coordinate cameras for the online streaming. 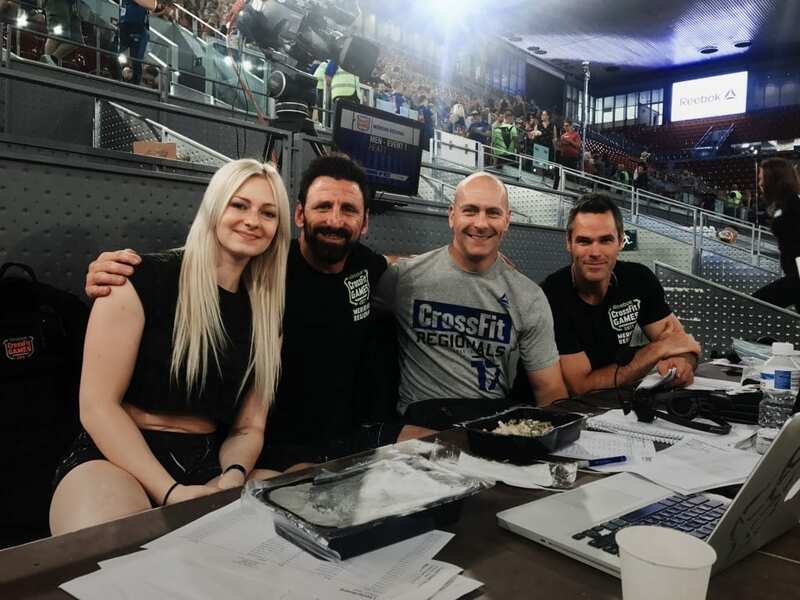 I had a chance to work with one of the most amazing people in the business who I am now happy to be able to call my friend and part of my Crossfit family. After all events for the day were finished and the whole team of volunteers was already tired from the hard work that had commenced throughout the day some headedback to their hotel but, some also decided to stay and enjoy a staff and volunteer barbecue that ended Friday night with a bang. This was an opportunity for us to meet more people from other teams and share our experiences of the day, we also court up on what was happening in our lives over the whole year. While day 1 was already as eventful as possible, day 2 bought new opportunities, new friends and new experiences. As you are probably already aware, Saturday at Regionals is always packed full with exciting events and leaders in the top 5 begin to emerge. The fight for the top spot and opportunity to go to the Games continues, while volunteers face a busy day doing their jobs to the best of their ability. Making the most of the regionals behind the scenes experience is the best way to take lots of photographs with athletes and staff and of course fellow volunteers. The second day of Regionals is also based on spending a lot of time wondering around the hosting city, in this case Madrid. It is about visiting bars, cafes and restaurants; me for example, I aimed to visit as many places as possible and create many everlasting memories with the best people. The very last day of Regionals; Sunday Funday. 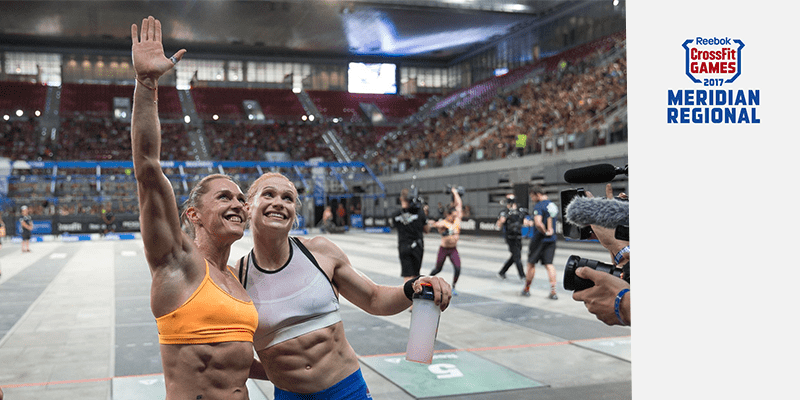 Champions rise and 5 top male and female athletes gain a chance to compete at the Crossfit Games; this year organised in Madison, Wisconsin for the first time. As for volunteers, it is the final day and a tonne of work to do in order for everything to run smoothly for the finals. A lot of goodbyes and a lot of tears because once again returning volunteers will need to wait a whole year to see their Regional team family. 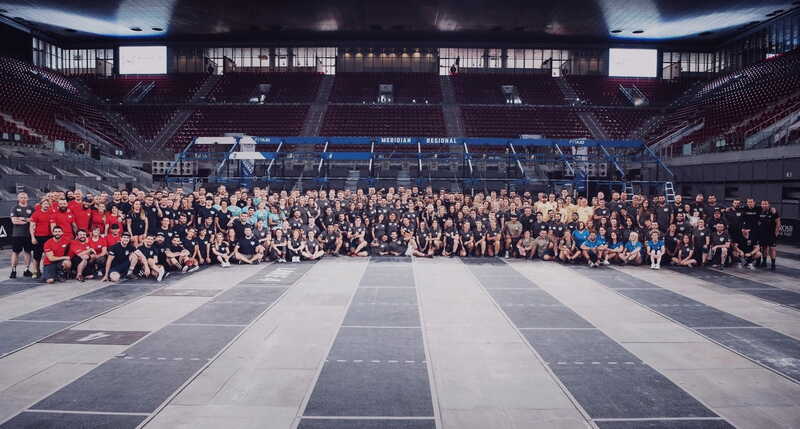 The lucky ones who have the chance to go to the Crossfit Games reunite with all the staff and athletes and have the opportunity to volunteer at the largest event organised by Crossfit. Day 3 is also a day for the Meridian Regional after party. This is yet another opportunity to meet athletes and party like a star with the rest of Crossfit staff. A party that should never be missed at any cost. To sum up, being a volunteer at the Regionals is in my opinion the best event of the year and something one waits for impatiently. The staff are absolutely amazing and volunteer coordinators do an awesome job in keeping everything running and all volunteers happy. Without volunteers, the Regionals and Games would not be able to exist. The amount of work that is put in by all individuals including myself is immense and each and every volunteer should be proud to take on such a great role in the Crossfit community. For me, this is an unforgettable experience which has taught me a lot about working in such a vast and fast paced environment and allowed me to expand my skills as a broadcaster and journalist teaching me valuable lessons for the future. To all those considering registration for the 2018 Regionals or Games, go for it! Do it, and be part of something bigger, something that will leave mesmerising memories and fun stories. Have the chance to join in behind the scene and experience everything for yourself.